A resident of Los Angeles, Martin Herman was educated at Duke University, University of Pennsylvania, University of California at Berkeley, and Stanford University. He also spent two years in Paris on a Fulbright Grant where he worked as a composer and conductor with the “New American Music in Europe” and “American Music Week” festivals. 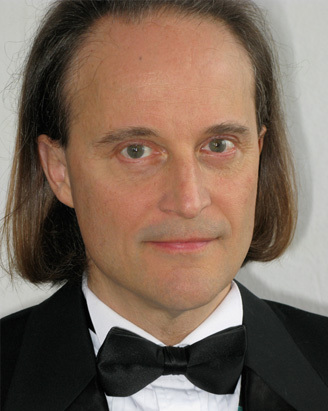 Aside from his conducting interests, Herman is an active composer and arranger. He has received fellowships and grants from the American Music Center, the Camargo Foundation, Meet the Composer, Trust for Mutual Understanding, and the National Endowment for the Arts. He has written chamber and orchestral works as well as three operas. He is recorded on the Albany Record label. As a long time Beatles fan, Martin was commissioned to provide the orchestral transcriptions heard on the Classical Mystery Tour show. Recent guest conducting engagements include the Detroit Symphony, Pittsburgh Symphony, Dallas Symphony, San Diego Symphony, New Jersey Symphony, Fort Worth Symphony, Louisville Symphony, the Virginia Symphony, Delaware Symphony, Alabama Symphony, the Omaha Symphony, the Buffalo Philharmonic, and the Philharmonia Chamber Orchestra in Prague, Czech Republic.